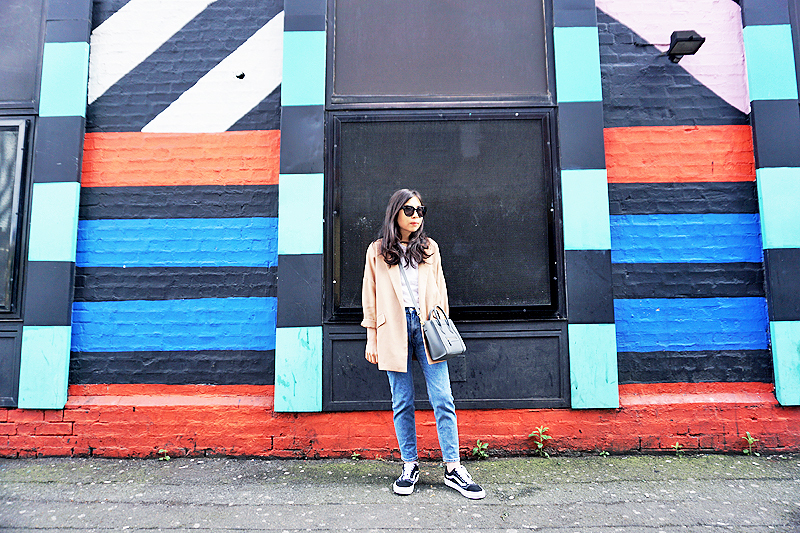 When I'm in a style rut or in a rush to get dressed, I tend to fall back on my failsafe go-tos: neutrals, oversized outerwear, t-shirts, jeans and trainers. It's my tried and tested uniform that I know I will be comfortable and feel good in. This is what I wore to brunch with my sister at Dishoom (their naan rolls and house chai are delicious!). 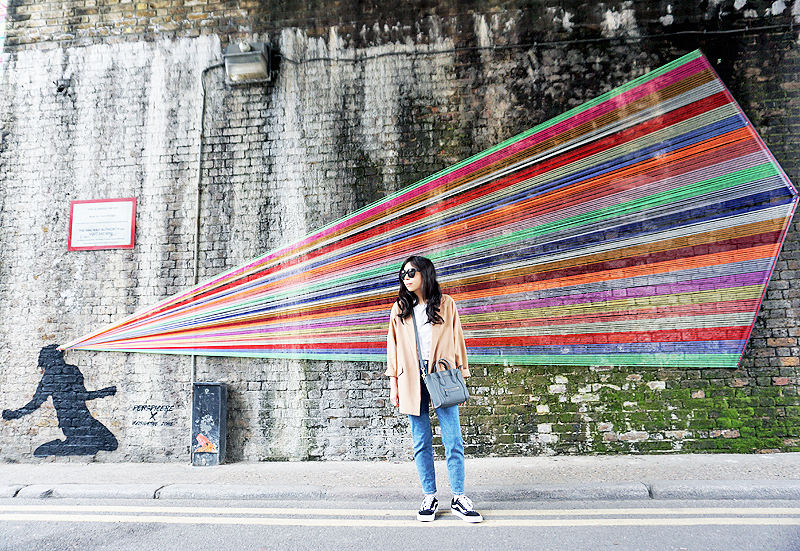 After that, we explored Shoreditch and found cool street art and colourful walls along the way, so of course I had to take OOTD photos! A camel blazer is the Spring/Summer alternative to a camel coat. I love throwing a blazer over jeans, t-shirt and trainers because it instantly smartens up the outfit and makes it look like you put effort into dressing up. Also, I've really been into slim and straight leg jeans for the past year or more. While I still wear skinny jeans, I find myself reaching for slim and straight leg jeans more often than the former. I like their slouchier silhouette and they're definitely more comfortable, so that's a win in my book.